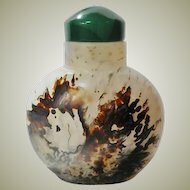 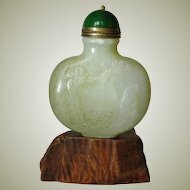 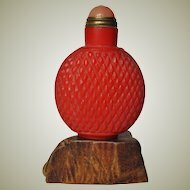 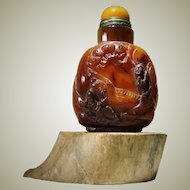 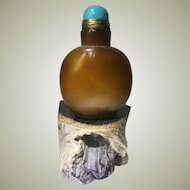 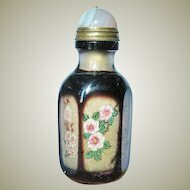 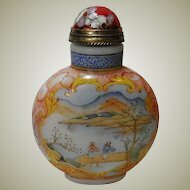 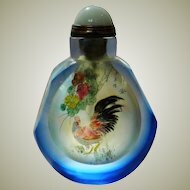 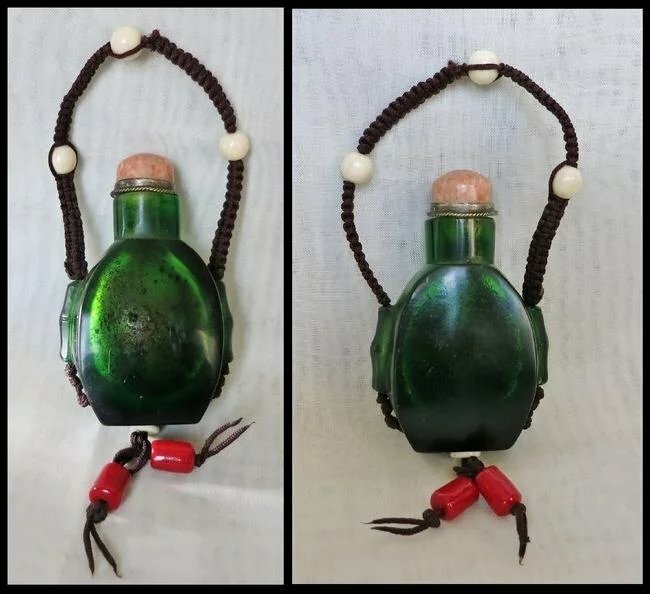 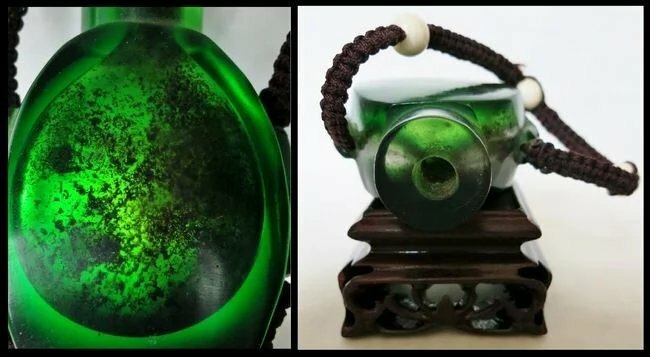 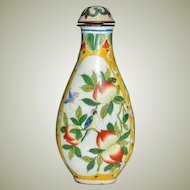 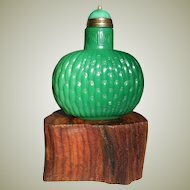 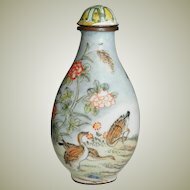 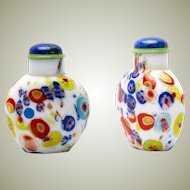 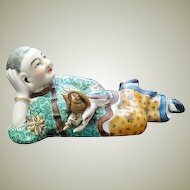 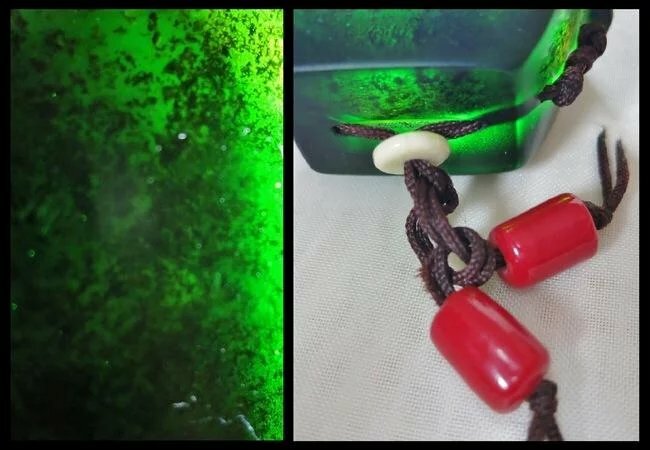 Attractive, old Chinese snuff bottle made of Peking glass. 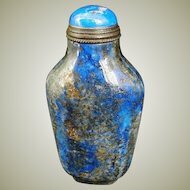 Pleasing, rich color. 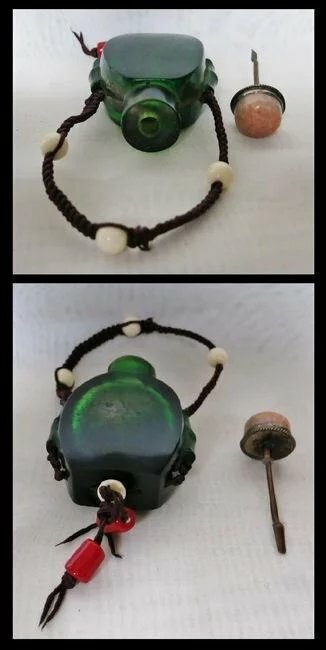 At both sides a woven string has been attached with pearls of bones. 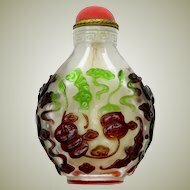 At the bottom pieces of bone and coral have been added. 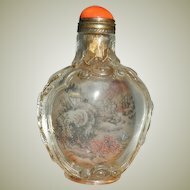 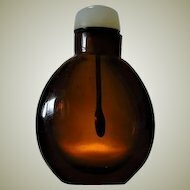 The snuff bottle is 48 x 25 x 60 mm and in good condition. 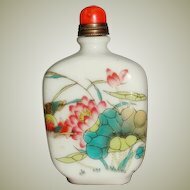 It is from the end of Qing Dynasty beginning of Republic period.